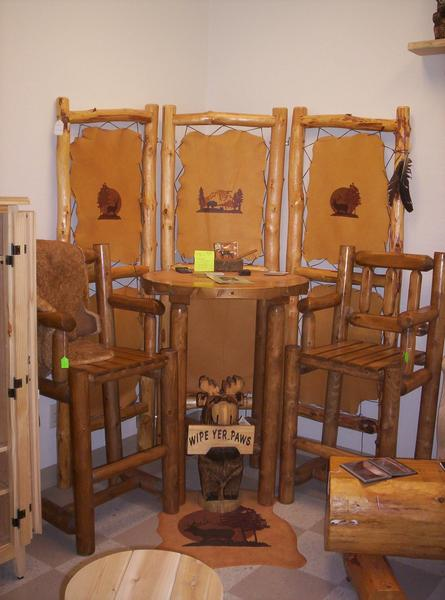 One of a kind piece made from Ponderosa Pine from the Black Hills and leather. This piece can even be taken apart and you could have 3 unique pieces of art work. We hand painted the graphics to add a little flair. We also painted a rustic floor cloth to go along with this piece. We can custom make a room divider for you. Just let us know what you like.